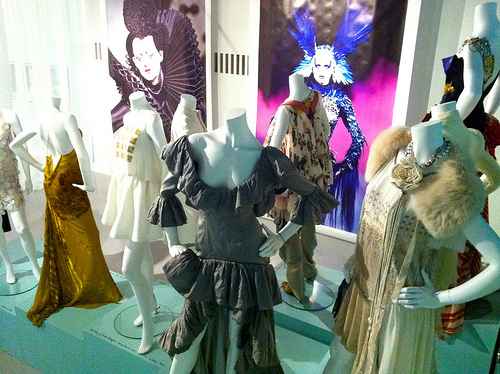 GossipWeLove | Pop Culture and Entertainment News Site: List of 7 Must-Visit Fashion Museums! Below are seven all-time favorite fashion museums. They are museums I have visited and want to visit, which reminds me what fashion truly is – a mix of influences from art, culture and society, and something that can transform a woman into anything that she wants to be. Want to visit, plus I heard they had a show focused on the 1920s and the amount of dresses, suits and accessories that were displayed was incredible. Its older dresses, spanning back to the 18th century, are gorgeous examples of Rococo fashion and its collection is in excellent shape. The collection is displayed in a suite of meticulously decorated 19th century rooms, and in each lavishly appointed room, there are glass cases of dresses by Italian designers, some from the 18th century and some from ten years ago. The museum also exhibits three of the few 16th century outfits left in the world. Most amazingly, the outfits belonged to Cosimo Medici and his wife Eleonora, who ruled Florence in the 16thcentury. And get this – the clothes displayed are their burial garments that were taken off of their bodies. Kind of gross (and the clothes are not in good shape, as expected) but also super cool. This small gem of a museum is located in what used to be Saint Laurent’s atelier, and is now the company’s archives. The museum only contains a few rooms, filled of with rotating exhibits of Saint Laurent designs from different collections and periods. But, if you are in Paris on a college program, you can contact the foundationfor a tour of the archives. This is a great collection, but you might want to add The Bata Shoe Museum in Toronto. It has absolutely wonderful, playful, and fascinating collection of shoes and shoe history.